A powerful and feature-rich help desk software can empower your business processes. 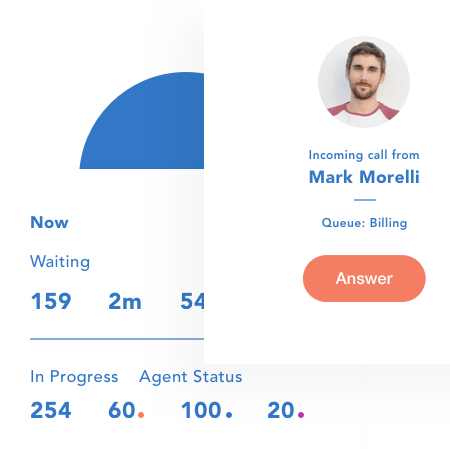 Wix Answers is one of the easiest to use platforms that allows you to create your own help center, and use an organized built-in call center and support ticketing system. And above-all, its free to use. How Can This Helpdesk Software Help Your Business? Efficient Ticketing System: Let your customers create tickets for issues or queries and easily keep track of the status. Remember, not everyone and not every situation can be addressed over the phone. Make getting help more accessible for your customers without overwhelming your support team. Knowledgebase: Provide helpful articles that your customers and users can refer to when they need details about a product or topic. It can also be used by employees as a reference. Organize Support: Prioritize all queries and route them to the right agents based on knowledge. Reports & Insights: Generate reports, keep track of customer support records, get insights, and improve your support service. Call Center: Set up a call center and manage all your queries in a professional manner. Wix Answers is feature-rich help desk program provided by Wix. It is designed for ease of use so that you can create your own custom help center, ticketing system, and multi-channel support system. It features a built-in call center so that you can easily get connected with your customers. It is your all-in-on customer support system. Your customers are going to need support at different times. Provide them with help instantly and easily. The platform offers a full-fledged knowledge base, multi-channel ticking system, build-in call center, and many other features. Quick and easy to setup. Setup your help desk in minutes. Set up your call center in minutes. Create and manage your customer support service without any advanced technical skills. Create and customize your help center. SEO-friendly features that help Google find your help center. 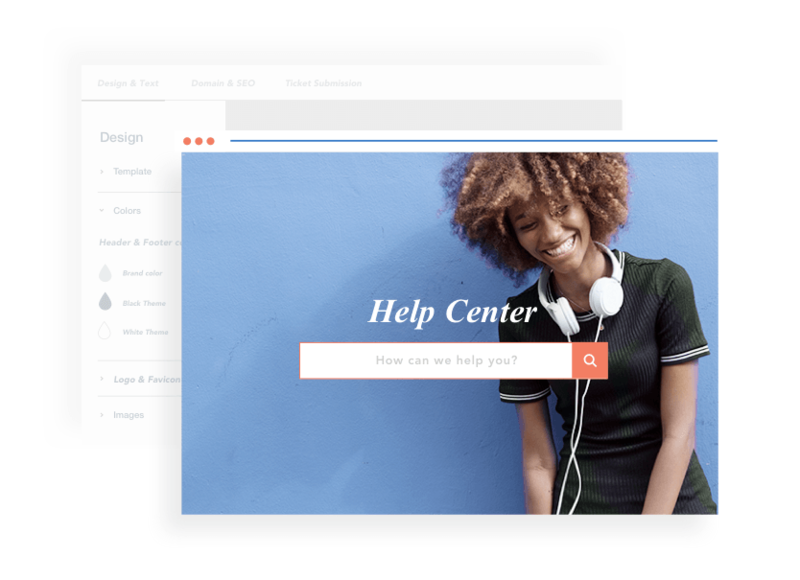 With Wix Answers, you can set up your help center in minutes. Create an expansive knowledge base with FAQ and tutorial articles. 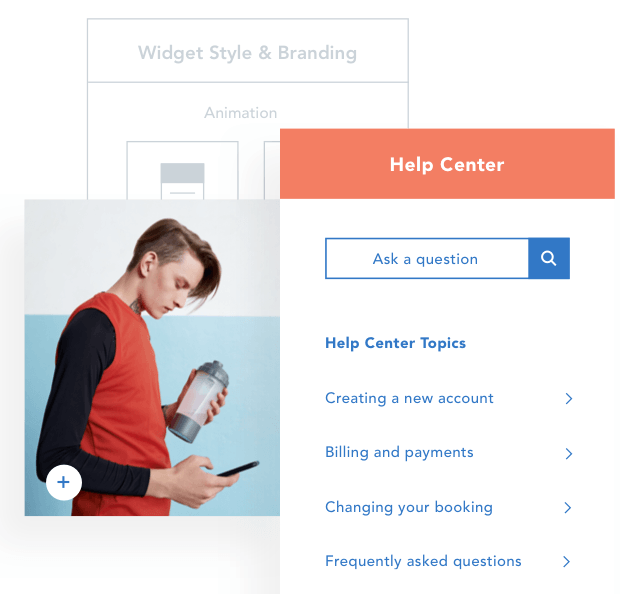 Your personalized and easy-to-navigate help center will provide your users with the content they need, helping them instantly and making your incoming tickets more manageable. Let your customers contact you through any mode without losing track of the records. Never lose track of communication with the same customer regardless of the form of communication. Always stay up-to-date with the progress of each ticket for efficient customer service. With the all-in-one platform, you can attach knowledge base articles into tickets and use insights for better customer understanding and creating a better help center. Offer professional customer support service through your call center. Create your own 1-800 call center number and take calls from your customers. Allow them to get a call back and get help anytime. You can direct calls to specific agents and keep track of the status of the calls. Embed the help widget on all your webpages. Let your customers contact you or access knowledge base articles and tutorials from anywhere on your site. Give them access to help in just a click. The Wix Answers help desk can be customized according to your brand image. You can get the look you want, users can get the help they need, and you can manage all your tickets, calls and knowledge base articles all in one place. Find out what are the most sought after features. Use the information to prioritize your features. You can also check your customer support team’s performance, customer satisfaction statistics, and your ticket response times. Get insights into your products, customers, and support service. Ensure that your ticketing system and knowledge base work together in an efficient manner. Customer support is important to any business. And if you can create a full-fledged, professional help desk, you are empowering your business. It means better customer support quality, better support management, product improvement, development of better solutions, and much more. Wix Answers offers a platform for you to create your own custom all-in-one help desk, full with all the features including ticketing system, knowledge base and call center. Anyone can set up their help center in minutes and manage it professionally.